Serverless is the hottest trend in IT. According to the 2018 Deloitte global CIO survey, 69% of IT leaders identify “process automation and transformation” as the primary focus of their digital agenda — one of the benefits of going serverless. 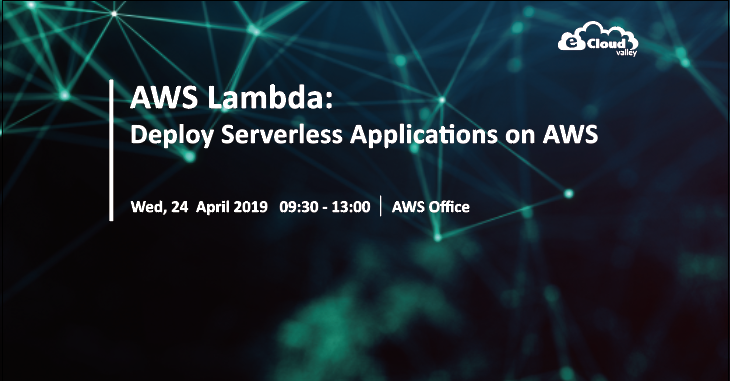 In the event, eCloudvalley will walk you through the concept of serverless and introduce AWS services and demonstrate how to build a serverless application on AWS. Sign up now!